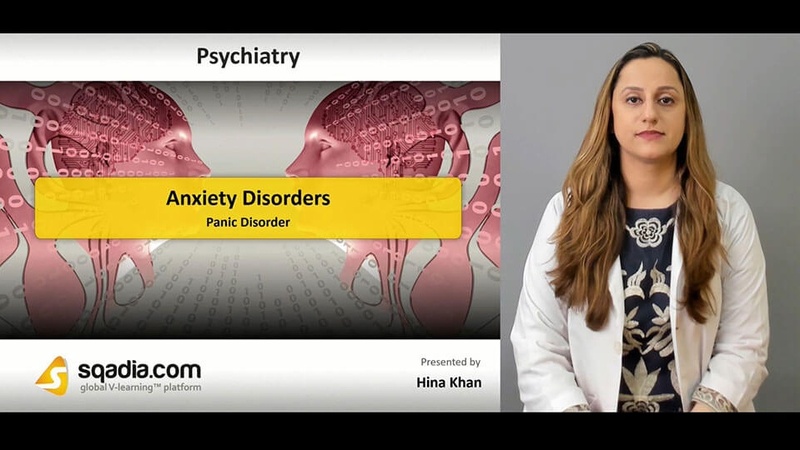 This sqadia.com medical video lecture is all about anxiety disorders. Primarily, anxiety is discussed through medical definition. Then different types of anxiety disorders are introduced by Dr. Hina Khan. 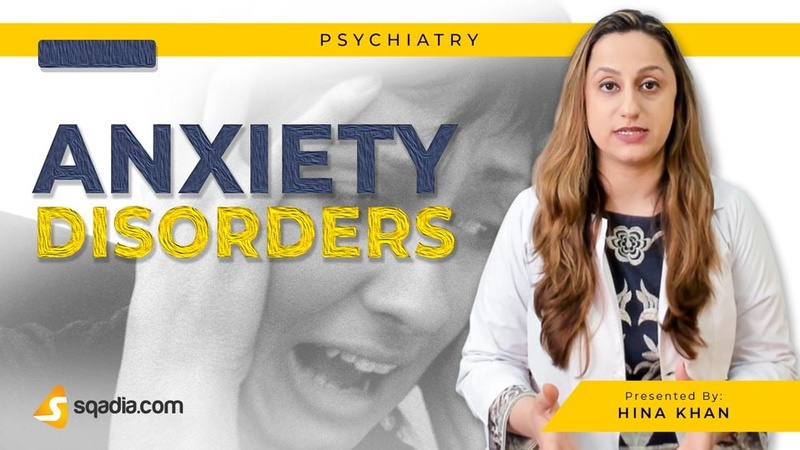 Generalized anxiety disorder along with panic disorder and obsessive-compulsive disorder is also considered in this lecture. Anxiety disorders are very common. Anxiety is basically a mental state that is characterized by physical and psychological symptoms. Problematic Anxiety and pathological anxiety along with the features of state of anxiety comes under consideration. Moreover, discussion continues on endocrine disorders and some other conditions such as cardiovascular conditions, neurological conditions, and respiratory conditions. In this section, initially information is delivered about drug intoxication, primary anxiety disorders, generalized anxiety disorder (GAD), agoraphobia and specific phobias and neurosis. 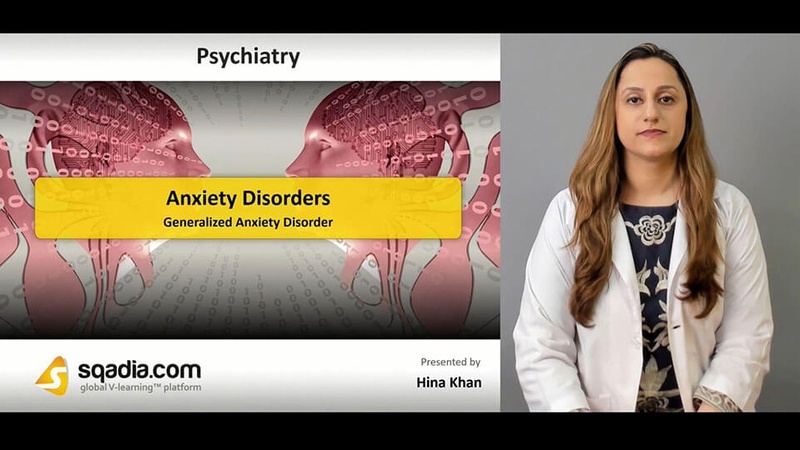 Then Dr. Hina Khan tells that aetiological factors of anxiety disorders do not corresponds to a homogeneous group instead they can arise from psychosocial stress and genetic factors. She also demonstrates the clinical assessment of anxiety disorders. Generalized anxiety disorder is a persistent, free floating anxiety. It is characterized by the features i.e. hot flushes or cold chills, difficulty swallowing, poor concentration, increased muscle tension. Diagnosis and management of GAD is the next subject of discussion. It can be managed through simple reassurance, counselling and problem solving, or cognitive behavioural therapy. Symptoms of panic disorders include chest pain or discomfort, tachycardia, butterflies’ in tummy, paraesthesia. Assessment of panic disorders is same as for GAD. Treatment options include combined pharmacological and psychological treatment along with SSRI antidepressants. Information about diagnosis is also given. This section is about obsessive-compulsive disorder. Recurrent obsessional thoughts correspond to diagnosis. Talking about aetiology, it is somewhat a genetic condition. Moreover, serotoninergic system abnormalities and basal ganglia abnormalities also play a role in causing the disease. Assessment and management are also discussed in detail at the end of the section.